Agrimaster, owned by Mastergroup, is a financial software program that's been written by farmers for farmers. Agrimaster is backed by over 100 years of farming and financial industry experience and supported by a team that understands the specific needs of the rural community. It handles your day to day accounts and cash book, but more importantly helps you plan and create budgets from your data to explore the ‘what if’ options - it even intelligently interfaces with your bank. Agrimaster has been developed specifically for the agricultural industry. The farming industry sees more volatility than most – Agrimaster helps farmers measure and manage the ups and downs seamlessly. Linked to all the right partners, Agrimaster provides strong direct information exchange across the farming industry, networking farmers, accountants, consultants, banks and key rural enterprises. Specialised rural software, Agrimaster saves time, is easy to use and provides reliable information. Contact us to find out how Agrimaster can help you take control of your farm finances. 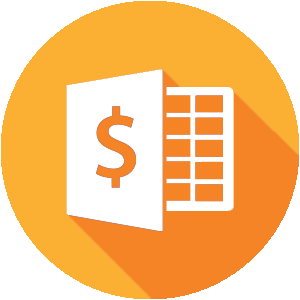 Agrimaster-Plus is a full-featured accounting product with Cashbook, Internet Banking, Full Budgets, Quick Budgets, Reporting, Tax Compliance and in addition a comprehensive payroll program called Wagemaster. The Agrimaster Employee Toolkit helps you easily setup an employee on-boarding system that incorporates the right HR practices from the start and reduces unnecessary stress in running your business. The free eBook has everything you need to know about Single Touch Payroll including a complete overview and a preparation checklist. File Manager is the new backup, restore and sharing feature within Agrimaster that replaces M:drive. The new cloud feature allows you to manage and access files easily and securely. Single Touch Payroll (STP) is an ATO initiative to streamline payroll reporting. You’ll be able to report payroll and super information directly to the ATO when you process your payroll in Wagemaster. With this change, you will no longer be required to complete payment summaries at the end of the financial year. Read more on how you can stay up to date with your compliance.